that is a huge bull. Good luck trying to out do yourself in the next seasons. did your dad shoot that for you? did you shoot that? Good Job. it easy when daddy finds them for you. besides you probably didnt even shoot it. Don’t be jealous boy’s. 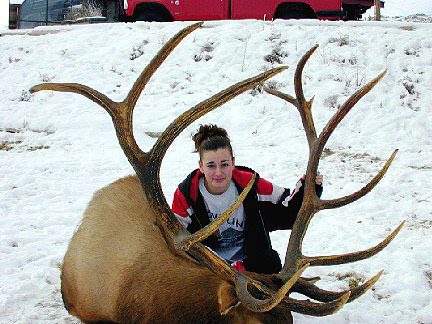 Girls can hunt too.